What’s the first point of contact between a video game player and the game? The controller. This little handheld device is what allows the player to manipulate their on-screen character to do their bidding. It’s been refined over the years, moving from an uncomfortable joystick with a single button, to devices that feel ergonomically tuned while granting access to a range of triggers, buttons, and joysticks. The Xbox One has launched, and with it, a new version of Microsoft’s controller. We’ve talked at length about the controller in our review of the Xbox One Microsoft Xbox One Review And Giveaway Microsoft Xbox One Review And Giveaway The console wars are officially raging, and we've had sufficient time with both of them. That begs the question: how does the Xbox One compare? Read More , and we did have some problems with it. Now, what if I told you there was a way to make to make some big changes to controller? Well, there is, and it comes from a company called Evil Controllers and their custom modded offering. Is it any good? How does it change gameplay on an Xbox One? All of these questions and more will be answered in our review. We’ve tested it, and now we are giving it away to one lucky reader. Keep reading to find out how you can take it home. Note: This is a modded controller, which features the ability to enhance gameplay to a point that could get you in trouble, and could see your Xbox Live account or console banned. If you use some of the modded features in multiplayer to cheat, you are responsible for the consequences. The controller is fully usable without cheating, but the ability to do so is there. You have been warned. So, what is Evil Controllers’ master mod? Basically, it’s a stock Xbox One controller that has been gutted with some heavy tweaks, both on the inside of the device and the outside. It has extra sensitive face buttons (a feature no longer offered on Evil’s website), which make it so you can throw your melee attacks faster while playing those shooters. The rest of the mods are a little less visible, allowing the player to perform all kinds of actions that would not otherwise be possible with an Xbox One controller. Things like rapid fire, dropshot, auto breath hold, and plenty of other insane mods are included. Evil’s custom controller builder also offers all kinds of visual customization. Since we’ve ordered ours, the ability to change the color of the face buttons has been added, as has the ability to add custom text to the controller. You can also choose custom shells for the front, back, and side, as well as different battery covers. The last noticeable visual tweak is the ability to change the light on the controller to different colors that suit your tastes. We elected to stick with the standard light while adding an Urban Winter shell, but the list of options are massive if you should choose to go all out. The modded controller scene is growing at an alarming rate. SCUF controllers are one of the most popular options – their mods are more hardware related, and they don’t offer the ability to actually cheat. Another brand that has made some waves is Controller Chaos, who offers a rapid fire mod, as well as plenty of others that can be added. With Evil, the particular configuration we ordered sells for $189 as of writing, though as we mentioned, the sensitive ABXY buttons is not longer available, so the closest you could get is $169. For similar mods Controller Chaos would set you back over $200, so from a price perspective, Evil has the edge. However, the price of the Master Mod, which is the core of the reason to buy the Evil Controllers, fluctuates. Right now it’s only $29 for the mod upgrade, but it’s “full price” (which I’ve never actually seen it on sale for) is $229. We paid $269 in total, so still not the full price advertised. This pricing system is both confusing and annoying. If you had ordered the controller last month, as we had, you would have paid $100 more for the same exact mods. We understand putting products on sale, but wild changes and unpredictability like that will only serve to annoy customers. Unfortunately, our initial impressions with Evil Controllers was not a good one, and it had nothing to do with the actual hardware, but instead with the customer service. Our order was massively delayed, and in spite of multiple emails following up, it took a long time before we received word. Turns out there was a problem with the billing and shipping address being different, and as such, the order was held. That didn’t stop them from charging the card though. All in all, customer service was quite poor, at least in our experience. That means the controller really needed to impress. Once the controller finally arrived, the packaging isn’t anything impressive. It comes in a basic cardboard box with just the controller and little card telling you to go to the website to get access to your instructions. That’s right – as expensive as this modded controller is, no actual instructions are included. This is not the kind of product where the instructions are optional, either. No, they are quite necessary, as there is no way to know how to enable mods without them. Those negatives aside, the actual controller itself is quite solid. We choose the urban camouflage design, and it looks great. We’ll dig more into the design of the controller in a bit, but right off the bat, it definitely looks solid, and since it’s a modded official Xbox One controller, it feels just like the one that comes with the console, albeit with a different grip texture. So we’ve talked about some of the negatives, all of which have nothing to do with the actual look and feel of the controller itself, let’s get to into some of the good stuff. First of all, the controller itself looks awesome. I’ve never been enthusiastic about third-party controllers, as I’ve always found that the original just feels better. With this, you are getting a stock Xbox One controller modded to your preferences, so that core design remains untouched. The one significant change is the texture. With the Urban Winter shell, you actually get a texture with a little more grip, which makes it easier to keep a strong hold on the controller during intense gameplay sessions. One key thing to point out is the quality of the custom paint-job. There is no bleeding of the colour – it looks official, not as though it was done by a smaller third-party company. With the kind of money you are spending to grab a controller like this, you expect a high level of quality, and in that regard, Evil most certainly delivers. The ease of use is certainly not easy. If you’ve never used a modded controller like this, you will almost certainly be confused at first. As you might expect, there is no on-screen interface with which you can turn on the mods. Instead, you use a series of button combinations on the controller itself, with two LED lights that let you know whether or not you have input everything correctly. The aforementioned instructions are required to figure out how to handle this correctly. For example, to enable the rapid shot mod with five shots per second, you need to hold right on the d-pad and press “X” five times. If you want to use the dropshot mod, you hold down on the d-pad and tap “B.” After a while you remember these commands if you use them enough, but in the beginning, you are going to need your instructions (which you will need to bookmark or print yourself) close at hand to remember how to do everything. To make your life a little easier, there are 20 slots for mods included on the controller. By default, the first 10 are reserved for 10 different levels of rapid fire. You can customize the mod used in each of the other slots, which allows you to get access to them a little bit quicker. The instructions do a decent job of explaining how to use these, but it’s a little complicated at first, and you may find that you need to read them over a few times to get up and running. Overall, the controller is not what I would call easy to use, but it’s to be expected. Since it’s not something that’s officially supported by the console, Evil, and all other modded controller makers, need to be creative to give the user a way to set it up, and in that regard, Evil does a pretty good job of making the process somewhat painless. The main reason one would buy this controller is for the modifications that alter the way the controller works while playing games. It gives you some key advantages, but it’s also cheating, so the decision comes to two factors. First, do you have a problem with exploiting to win? Second, are you willing to take the risk of being banned? This only apply to multiplayer of course, so if you want to mess around with some mods in a single player game just for fun, then there’s no problem with that. I didn’t use the controller for multiplayer because I’m not willing to risk having my console banned, nor do I want to cheat. However, when messing around in private games, it can be a lot of fun. All of the mods work as advertised whether playing Call of Duty, Titanfall, or Battlefield. You can even use them to play Dead Rising, which is a recipe for awesomeness given that it’s a game pretty much built around nonsense. 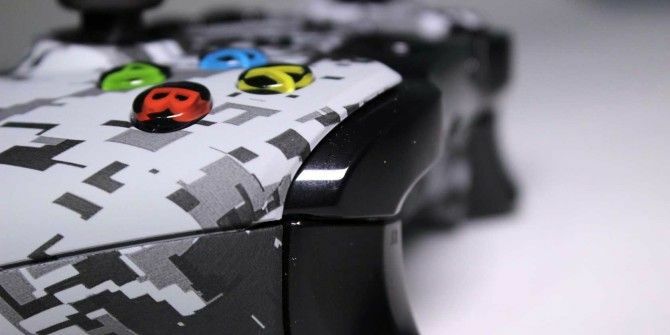 The rapid fire offers incredible customization so you can tweak it to suit your needs. Dropshot works perfectly, as does automatic breath hold when using a sniper rifle. For Battlefield players, the automatic spot is fantastic – you don’t have to press a button whenever you see an enemy. As I said before, the process to load up the mods is a little confusing at first, but it’s easy enough once you grow comfortable with it. They all work perfectly, so if a controller that’s packed with all kinds of customization mods is something that you’re looking for, Evil’s offering will do the job, and it does it with a degree of flexibility that you won’t find on many other models on the market. While I won’t use this controller to cheat in multiplayer games, I still like it quite a bit. The buttons feel comfortable, and the added grip is a great feature. Having the mods is cool if you want to mess around with your friends in a private game without telling them. Hearing them ask, “How are you unloading your full pistol clip in two seconds?” never gets old. Especially if they don’t figure it out and you can just let them believe you have the fastest fingers under the sun. This is a controller you can use every day, even if you never turn the mods on. The price is quite a bit higher than a standard Xbox One controller, but if you plan to have some fun with the tweaks, it’s worth owning just for the sheer hilarity that can ensue. On top of that, the level of customization available gives you that chance to have a controller that stands out from the crowd – something that Microsoft doesn’t offer – and for that alone I enjoyed playing with Evil’s Master mod Xbox One controller. Evil Controllers, in spite of having some serious customer service issues, has really made a solid modded controller. It has a wide range of mods that can suit all kinds of games, and the build quality is top notch. Just from looking at it you’d never know it was done by a third-party, and that’s some pretty solid praise. The biggest problem is that if you don’t intend to cheat in multiplayer games, it’s hard to justify the cost. While the mods are fun, spending well over double the price of a stock controller is a tough pill to swallow. Congratulations, Ellie Wright! You would have received an email from jackson@makeuseof.com. Please respond before June 11 to claim your prize. Enquires beyond this date will not be entertained. Explore more about: Game Controller, Game Mods, MakeUseOf Giveaway, Xbox One. P.S [From video] Lack of paper manual might be an attempt to save paper and wastage; could also be that they wanted it online, so they can update/fix it, at will. No but it sounds like fun! Never tried, but I may now that I read this. not yet i hope to though! I never have, but it seems really cool! The most I've ever done was add LEDs to the A B X Y buttons on a wired controller, and that's pretty cool already. Nothing gameplay changing though. I do not mod an xbox controller. I like to personalize but I dont know that I'd get into modding. I do not mod an xbox controller, other than choosing a color that isn't stock. I haven't before, but I would like to. havent tried but would like to add some shortcuts!! I don't do anything with my controllers and my son really doesn't mod his controllers either, but he has the XBox One and he would really like this controller. I'm afraid I'd somehow destroy the controllers, so no. I use fps freeks but those don't qualify as a mod. No I don't do anything with my controllers. are xbox one controllers usable on windows yet? will they ever be like the xbox 360 controllers? or do pc gamers have to find an alternative? No never tried but sounds awesome! I don't mod it,but I personalize it with L.E.D.'s! No i don't have the talent........!! No Never ! Will Try my Luck if I have the opportunity to Win this Unique & Awesome Giveaway ! Thanks. I have a pair of Kontrol Freek joysticks that I use. No, but I've looked at buying some of them. Nope, haven't really seen any reason to do so(yet). I do it only for my fight stick. I usually mix and match different buttons and parts to improve the responsiveness. No...and actually, I don't own an XBox. I use a standard controller. No, I don't have one but I fully modded my son's original xbox years ago. I have never attempted either. I have never done it, and wouldn't know how to mod my controller. No because I don't own one! I don't even have an Xbox! I've never attempted to do so. I have never had the joy of having an X-Box to speak of modifying the controller.. I've never modded a controller....I dont think I have the skills to do it right. Never modded anything console related. I just use my regular Day One 2013 controller. I've looked at custom controllers but they're a little outside of what I'd call a "reasonable price range"
I dont have a Xbox! Never modded or did anything to my previous controllers. I'd probably mod it if I had the chance and didn't think I would destroy it in the process.